Samsung and Google are getting ready to finally show the next device in the Nexus family, the “Nexus Prime”, which will rock Android OS 4.0 Ice Cream Sandwich. That alone is exciting but some glorious news for us Canadians today! We’ve been sent an email from Samsung Canada that encourages us to tune in to the live webcast at 10:00 p.m. EDT tomorrow night, but the beauty is at the bottom that stated “The coolest Samsung smartphone will be coming to Canada soon. Stay tuned for additional information regarding launch date and availability in the coming weeks”. Such great news! This news, along with the earlier report of the model number GT-I9250M that popped up in the Wi-Fi Alliance database, is a solid indication that we can expect this on Canadian land soon. “With temperatures falling across the country, it may seem like an odd time to be talking about an Ice Cream Sandwich. But as all first-to-knowers are aware, the classic snack is trending on Twitter because Samsung and Google are about to serve up what could be the most anticipated Ice Cream Sandwich ever! If you are among those that can’t wait to learn more, tune in to the live stream of the official Hong Kong Unboxing event @ https://www.youtube.com/android. The webcast will begin at @ 10:00 p.m. EDT. Awesome news and I’m looking forward to seeing the confirmed specs. 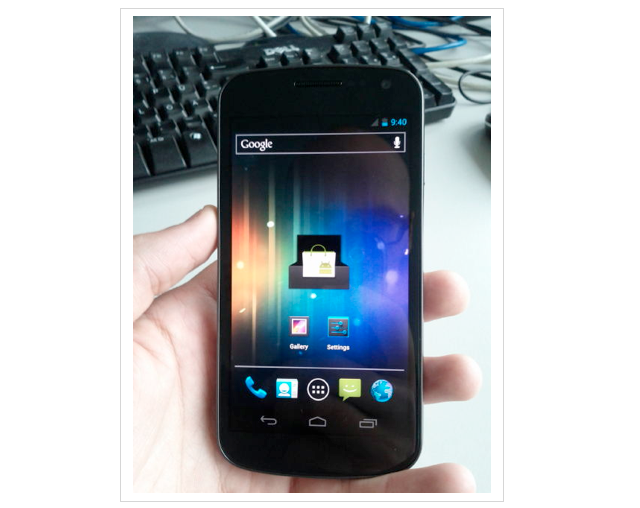 It’s been rumoured that the Nexus Prime/Galaxy Nexus will have a 4.65-inch HD display (resolution of 1280×720), 1.5GHz dual-core processor, 8-megapixel that captures 1080p HD videos, 9mm thin and packs a 2050mAh battery. We’ll be following the event as it unfolds tomorrow.